7 presidential related Cartes de visite along with George Washington Ephemera. 1st item: Rare CDV of Mary Todd Lincoln, standing in a black dress and holding a fan, published by E. & H.T. 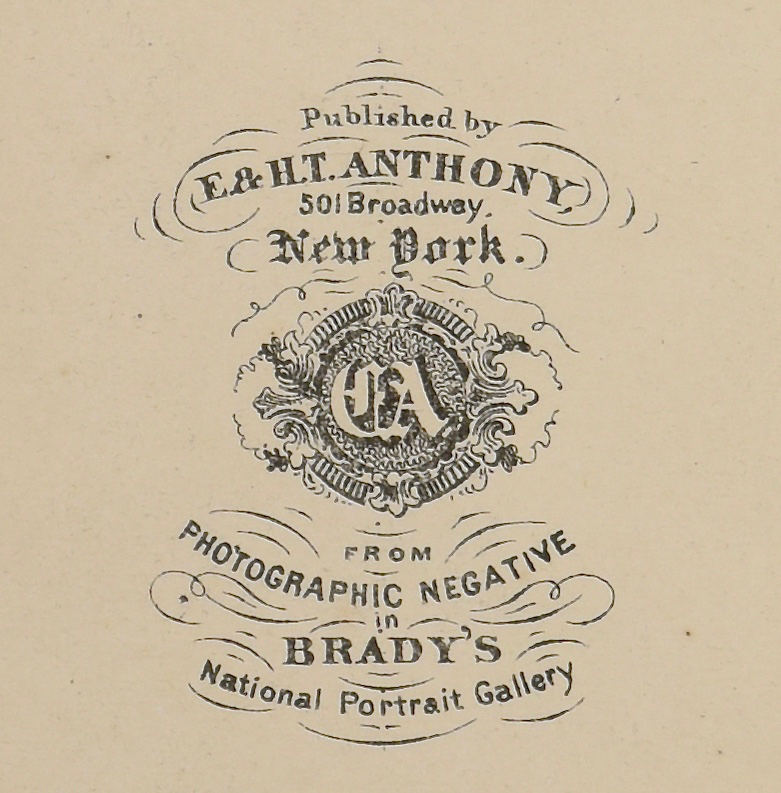 Anthony from a photographic negative in Matthew Brady’s portrait gallery. Anthony backstamp verso. 2nd item: CDV portrait of Abraham Lincoln, from a Feb. 24, 1861 photograph by Alexander Gardner at Matthew Brady’s gallery. The President is seated in an armchair with inkwell on table beside him. No backstamp verso. 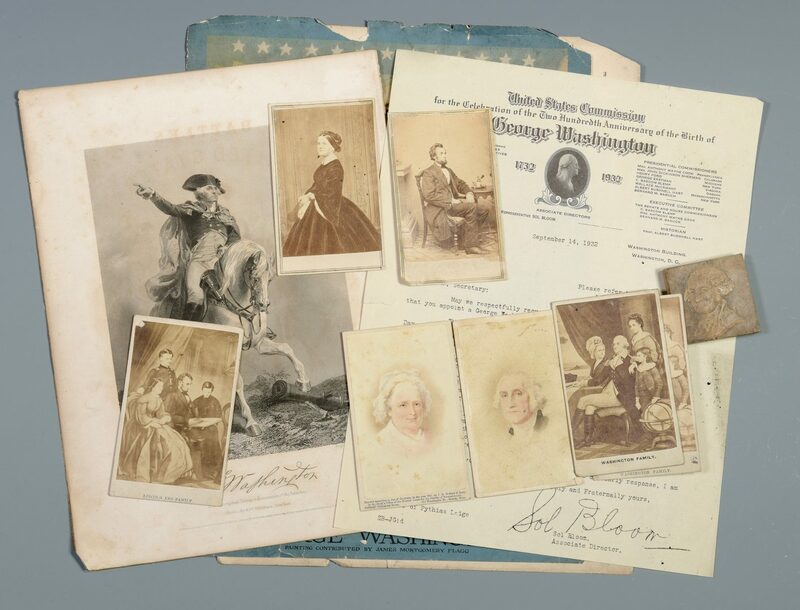 3rd-5th items: Composite CDVs depicting the Lincoln and George Washington families. No marks verso. 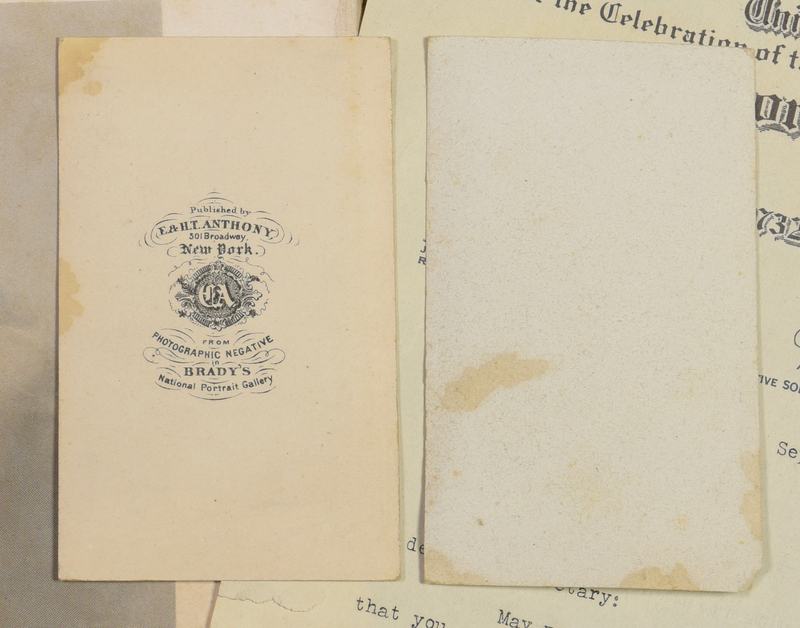 6th and 7th items: Colored illustrated CDV portraits of George and Martha Washington, one marked “Entered according to an Act of Congress in the year 1865 by J.H. 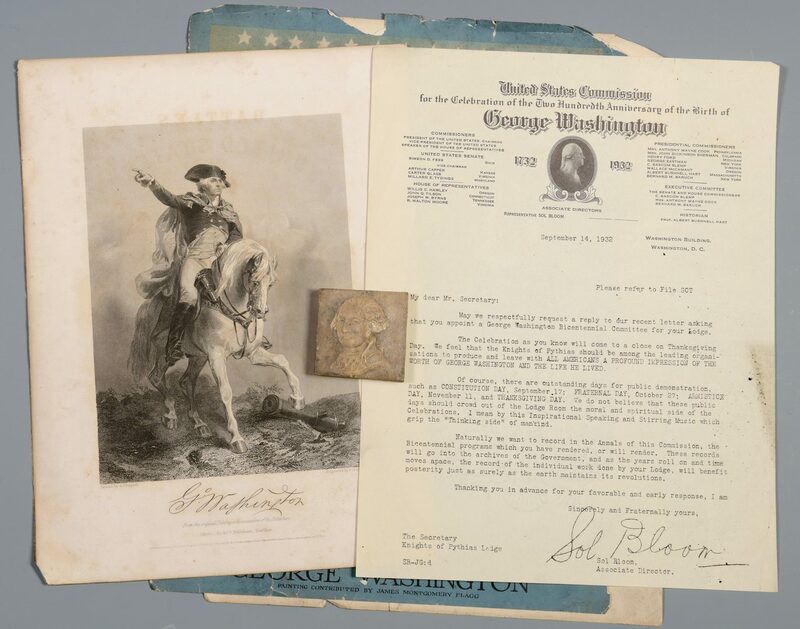 Bufford & Sons.” 8th item: Lithographic portrait of George Washington on horseback, after an engraving by F. Halpin, from a painting by A. Chappel. Facsimile signature beneath. Johnson, Fry & Co. c. 1880, frontispiece from a book “Battles of the United States” (the title of which has bled onto the top edge of the image). 8″ x 10 1/2″ overall. 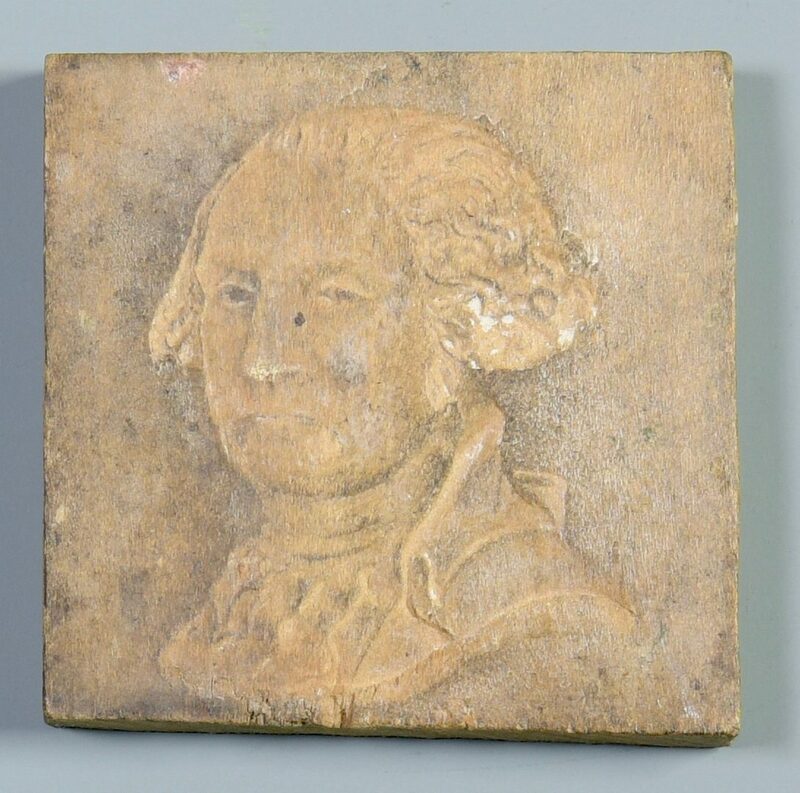 9th item: Intaglio carved wood square of George Washington’s head and shoulders, 1 3/4″ square. 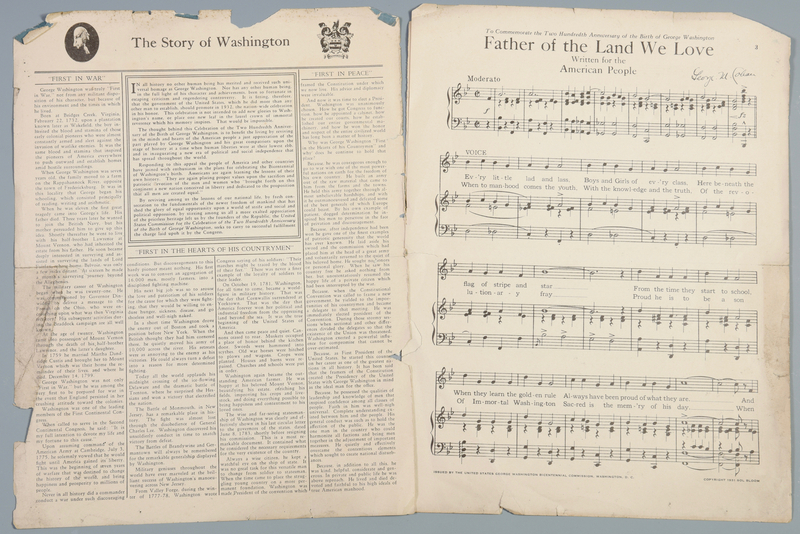 10th item: Sheet music, “Father of the Land We Love, Written for the American People by George M. Cohen to commemorate the Two Hundredth Anniversary of the Birth of George Washington”. Illustrated with portrait of Washington by James Montgomery Flagg. Vignettes of Washington’s life en verso. Provenance: the estate of Sarah Hunter Hicks Green, formerly of Historic Devon Farm, Nashville, Tennessee. CONDITION: All in fair condition with toning/light handling grime. Mary Todd Lincoln CDV has small black specks across image and some edge stains visible on back, small corner fold. Abe Lincoln CDV has some staining at right edge and light corner fold. 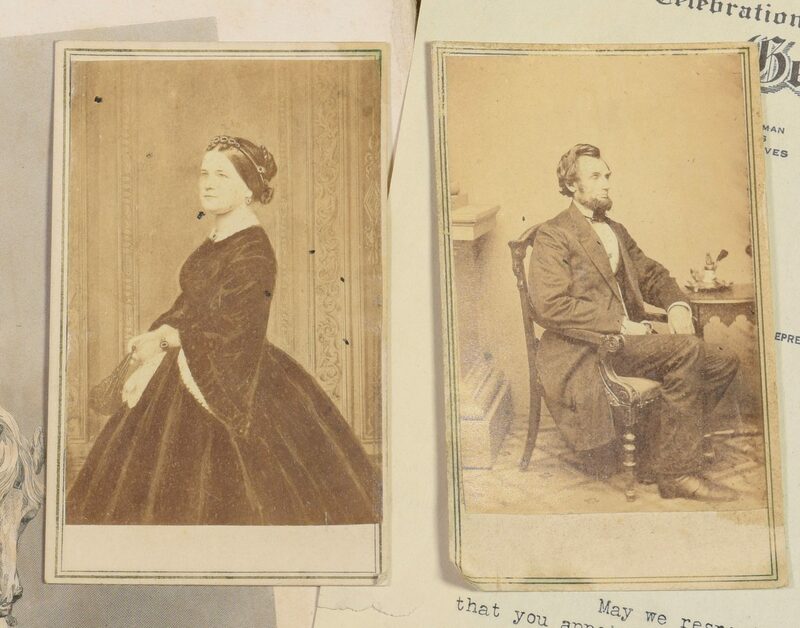 Lincoln family CDV has corner fold affecting image. George and Martha Washington CDVs have light foxing and corner folds. Washington print has corner fold and foxing, toning. Sheet music in fair to poor condition with edge losses and toning.